At least ostensibly, World War I ended first with the cessation of armed hostilities between the warring powers at the famed “11th hour of the 11th day of the 11th month,” that is November 11, 1918. The official, or diplomatic, end of World War I came later at the Treaty of Versailles, June 28, 1919. However, the conflicts that remained unresolved with the 1918 armistice or the 1919 treaty meant that World War I did not end until some time later. The political and ideological upheaval that gripped Russia for at least a decade prior to World War I did not cease when the new Bolshevik government of that nation made a separate peace with Germany, signing the treaty of Brest-Litovsk in March 1918, and exiting the war. 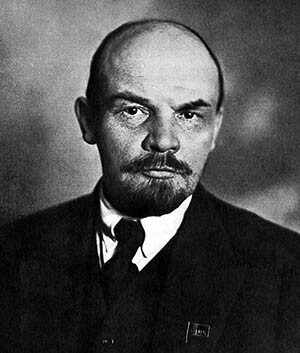 Germany had facilitated the return of Vladimir Ilyich Lenin, the Bolshevik revolutionary leader, to Russia to foment civil unrest and knock Russia out of World War I. Although the German tactic succeeded, the Russian Revolution began in late 1917, and on the heels of the seizure of power in the country by the Bolsheviks a civil war was underway. The Russian Civil War did not end until 1922. 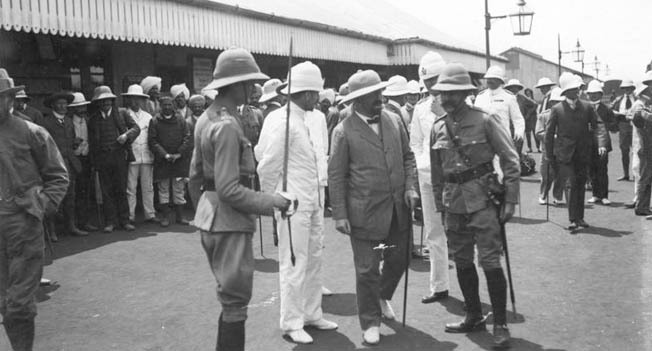 Further, following the end of hostilities in 1918, the German colonial empire was dismembered. In the South Pacific, German New Guinea, the Bismarck Archipelago, and Nauru came under Australian mandate, while German Samoa was ceded to New Zealand. Of primary importance, Japan took control of the Marshall, Caroline, Mariana, and Palau island groups, encouraging Japanese imperialistic and territorial ambitions in the region. The Japanese established permanent installations and military fortifications on a number of these islands, which became the scenes of violent combat with American forces during World War II. At the same time, the terms of the Treaty of Versailles placed the blame for the coming of World War I squarely on Germany, stripped the country of European territory that was rich in natural resources, and placed severe restrictions on the German military while compelling the weak German government to pay millions of dollars in war reparations. During the 1920s and 1930s, Germany was wracked by civil and political unrest. The Nazi Party and its charismatic leader, Adolf Hitler, seized upon the perceived injustice of the Versailles Treaty to galvanize German nationalistic fervor. With the general support of the German people, Hitler led the nation into World War II, or as some might contend, a continuation of the Great War. In considering this series of events inevitable due to unresolved issues between the nations of the world, it is plausible that World War I did not end until 1945, when Hitler and the Nazis were defeated in Europe and Imperial Japan was subdued in the Pacific. French Marshal Ferdinand Foch characterized the political environment that prevailed with the Treaty of Versailles by saying, “This is not peace. It is an armistice for 20 years.” Foch missed his prediction by only two months. German tanks and troops streamed across the Polish frontier, igniting World War II, on September 1, 1939, roughly 19 years and 10 months after the treaty was signed. Through the lens of history, an extended perspective is indeed provocative. In 1945, Germany was partitioned, and relations between the former Allied nations became fractured and polarized, giving rise to the half-century long Cold War, an era of unprecedented political and ideological rivalry between the United States and Great Britain on one hand and the Soviet Union on the other, that was arguably underway before the guns fell silent during World War II. The rival nations waged proxy wars and exerted tremendous global influence during the period. Finally, one of the primary factors that influenced Imperial Russia’s entry into World War I was its long-held desire for a warm water port, free of ice year-round to facilitate trade. In 2014, pro-Russian separatists initiated conflict in the Crimean peninsula on the Black Sea, territory belonging to the sovereign nation of Ukraine. Subsequently, the Russian government announced its annexation of the Crimea. When did World War I end?